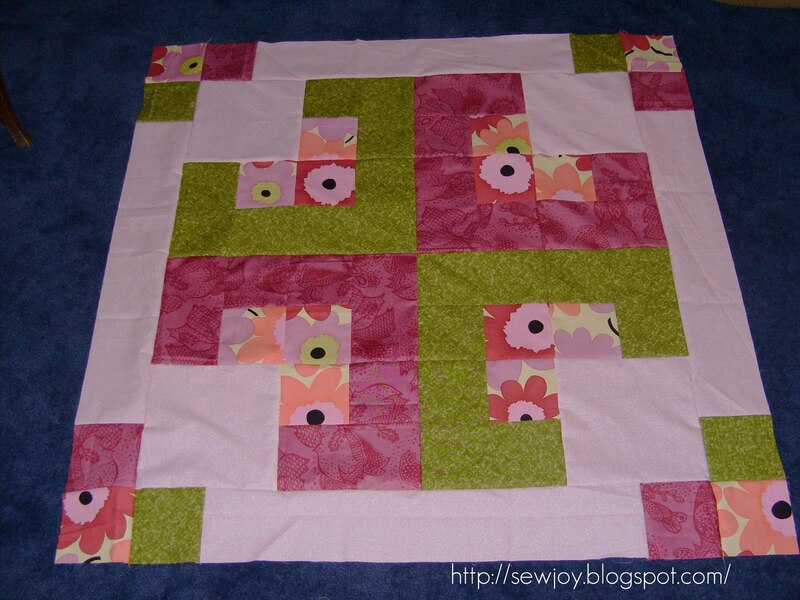 I made this little quilt using the 'waste triangles' from making another set of my placemats. My husband likes the zigzag pattern, and likes the fabrics too. I have almost used up every bit of the paisley fabric! My brother is a father again this Father's Day! My 5th niece was born on the 18th. I made this quilt on the 19th! Hope to finish it this week and deliver it in person next weekend. Welcome to all the visitors I'm having this weekend too! And to Craft Gossip featuring my liberated Churn Dash!